I wasn’t sure homemade fish sticks were going to be worth the trouble, or the $8.99 a pound for fresh fish, but happily, my reservations were unfounded. They were absolutely worth the minimal effort. You know how frozen fish sticks out of a box become shriveled, dry and…stick-like if you leave them in the oven a little too long? 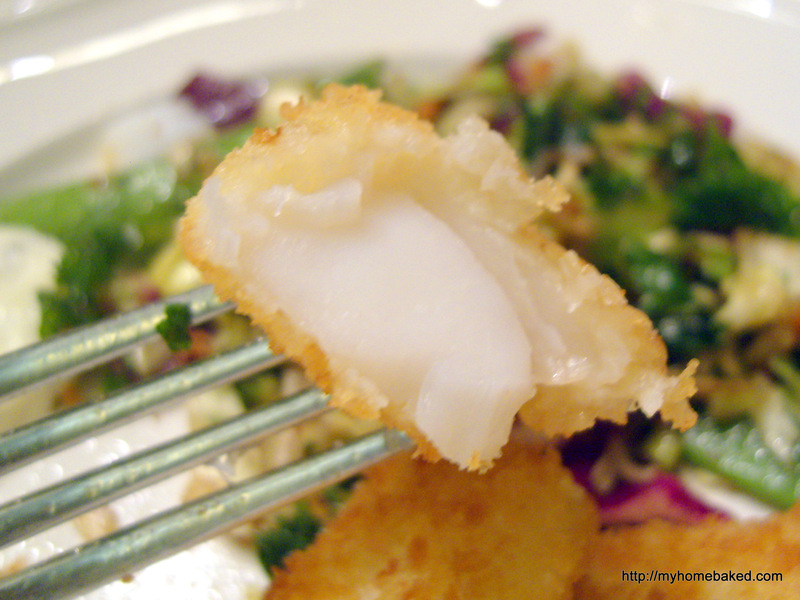 Now imagine the exact opposite: tender morsels of snow-white cod, a light and crispy panko crust–succulent flaky fish goodness. Heat 1/4 inch of oil on medium-high in a non-stick skillet. 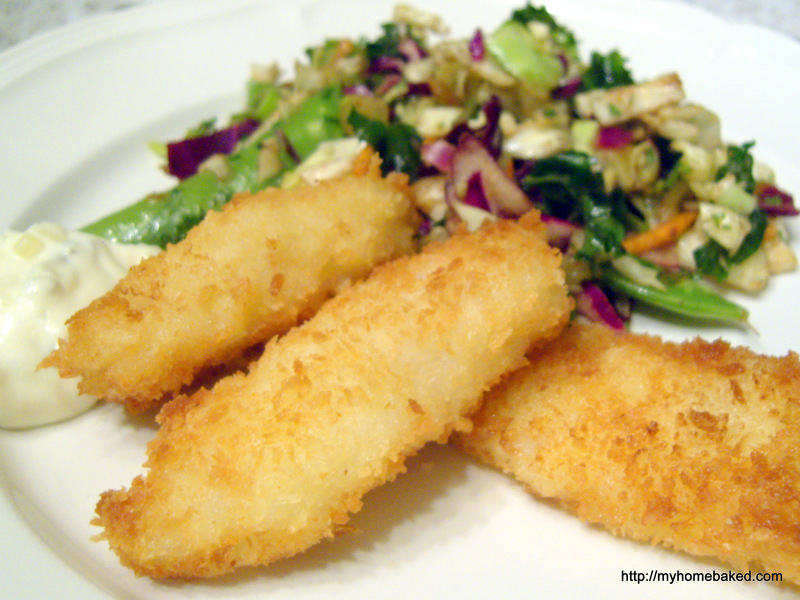 Fry the fish sticks in small batches until golden (about 3 minutes per side). Drain them on a paper-towel lined platter or a wire rack set over a baking sheet. If necessary, keep the fish sticks warm in a 300-degree oven until ready to serve. Stir together in a small bowl: 1/2 cup sour cream, 1/4 cup mayonnaise, 2-3 Tbsp. sweet pickle relish, and 1 tsp. Dijon mustard. Wow, those look good. Can you make me some? hahaha. Definitely going to be trying this recipe. I love fishsticks!